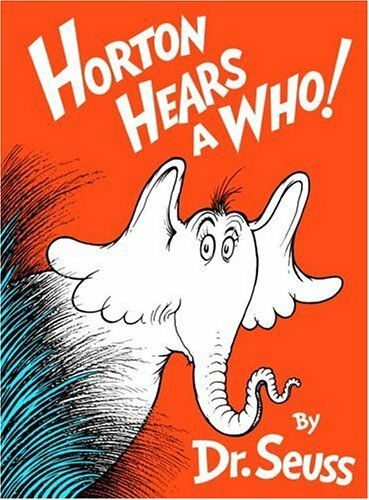 Home > Books > Horton Hears a Who! 4/2/2009 Gail Fattori said: Another classic. Love it. 6/26/2008 Kerry McCaskill said: "A person's a person no matter how small." One of the most brilliant books on tolerance ever written. Required reading for all ages. 5/5/2008 megan bostic said: This is one of my favorite Dr. Seuss books.